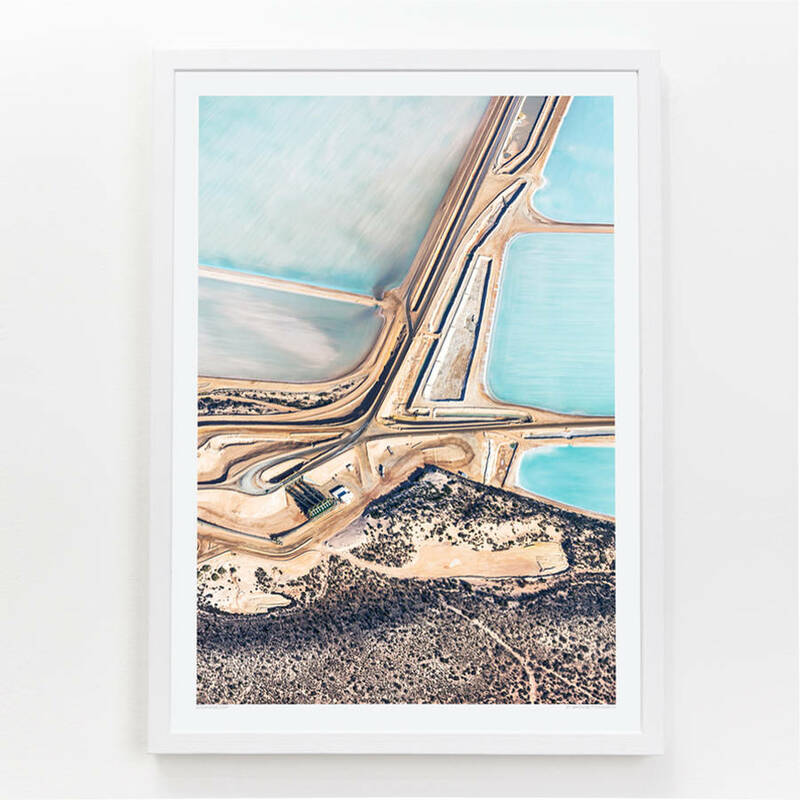 Blue Fields by Simon Butterworth, are a series of stunning ariel photographs, capturing the remarkable crystal salt flats in Australia. Ariel photographs of the Useless Loop solar salt operation situated in Shark Bay, the westernmost point of mainland Australia. Shot from a light aircraft flying at between 4,000 and 5,000ft, the shallow ponds of salt crystals otherwise known as crystallisers, can be seen clearly from above. Taking on the appearance of an abstract watercolour on canvas, it is hard to believe these aren’t paintings, as the reflection of the sky gives them their dazzling blue appearance and the tracks left by salt harvesting machines look like brushstrokes. The combination of tranquil blues and calming aqua hues, make for a harmonious result that brings a sense of serenity to any room.